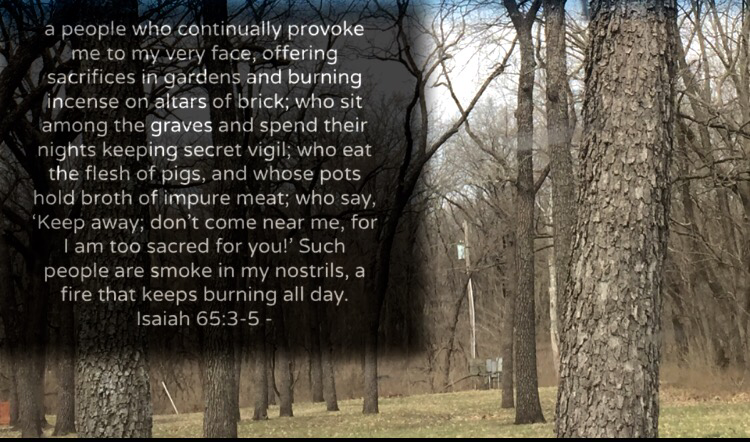 “But the people grew impatient on the way;” the text says, it does specifically attribute their sin as impatience that led to speaking against the Lord and complaining about His provision. That is often just as much a temptation in waiting as doubt could be. Sometimes the will of God leads us through uncomfortable places to get us to better places. That calls for us to have patience. Faith is often the test of believing God to bring us out of a trial, yet patience is the power to wait well while in a trial. Then they would have been the generation that had entered the promise land and would not have been sentenced to wander 40 years in the desert. Yet the desert became their lot because of unbelief and that was why they had so long been eating mana to begin with. Through unbelief and impatience we too can keep our own selves back from good God would give us if we only faithfully wholeheartedly obey. Unbelief will keep an unbeliever in a desert and they may never see the good God would do in their life because they are grumbling and living in their doubts and sin. Many in Israel died as a result of these snake bites. Perhaps some even after the bronze snake had been made, refused to humble themselves and look on the bronze snake the God had Moses lift up. There is something so sinister about pride that it will often hold a person back from repentance even as they are dying. Pride might say “God, kill me, you won’t break my stubborn will, I will die before I serve you.” And indeed some will I am afraid, because the proud heart will suffer terrible pain and often still be unyielding and obstinate. Is this you reader? Are you sorely deceived into rather suffering much for sin just to be in control and feel right? You will forfeit so much, God’s kindness, goodness and mercy. Is the pleasure of having your pride that great that you will suffer loss of much in this life as well as lose your soul in hell? Is it worth it? Humble yourself, be saved! Receive the love of Christ and forgiveness you can never earn. The choice is your’s but you surely won’t regret the latter, but will be doomed if you hold fast to the former. Many people don’t like the smell of smoke, in fact some hate the smell so much that they don’t want to be around people who smoke at all. Yet our sins are what make us wreak of a stench that God does not want to catch a wiff of. God loves people, he hates their sin. Imagine if your loved one, wife, daughter, son or close person to you developed some disease to where they just smelled like rotting flesh. Does your love for them make them in that case easy to be around? What if they smelled so bad, that you felt like gagging or puking every time they came into the room. Yet then they have made it so even though you love them, they cannot be around you ever again because they smell completely nauseating. In fact, you will suffer health issues if you are close to them. In OT times a leper had to be excommunicated to a colony made for lepers. Even the closest family could not be around them unless they too had the disease. Leprosy was a disease that would damage tissue and cause oozing sores but also attacks the nervous system. Yet spiritually leprous people cannot stand in the presence of the Lord and their sin must be cleansed. Jesus Christ is the Savior that takes our sin away and makes us clean, so we can now be close to God. No Balm In Her Box, The Sore of Israel. What can we understand about the sickness that plagues human kind. The disease of sin, it is more then just skin deep but permeates all facets of the heart. God does not nearly delight in fasts, religious works or offerings as much as the heart, offered up in humble repentance and contriteness. True love for God is what He desires. Anything given aside from love for Him is like giving a gift to a stranger. Truly, if you gave your loved one a gift, they would treasure it because you gave it from the heart, yet you give a stranger or someone not close a gift, that may indeed be merely a bribe. To refuse to obey and trust God but give him a gift or offering, that to God is like a bribe that people give thinking they can appease their guilt and sin often. God is working in us, yet He wants us to cooperate with the process. We do so by obeying with the strength he gives us through the Holy Spirit. To be without the Spirit, means one is without Christ, to be without Christ is to not be a Christ follower and to be outside of grace, unable to live the Christian life. The ideas of meekness, and repaying good for evil or loving ones enemies for example are foreign and bizarre to non Christians. The thought of Jesus dying on the cross to save us from sin, that seems absurd to the non Christian. Yet we know very well that because Christ loved us while we were estranged, and through His sacrifice in our place, we know this made us acceptable to God and has the power to make us new creations. 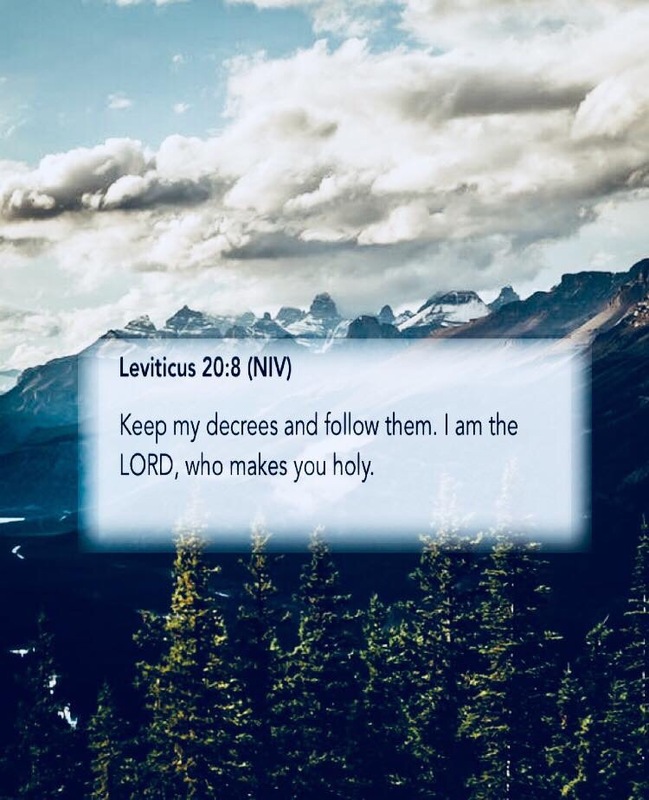 Let us follow His ways and let him reshape us daily to reflect His values instead of the World shaping how we think, respond or behave! Often we may misconstrue what this means. Does this mean being a Christian is easy? No. Does it mean life will be problem free if you follow Christ? No. However, it is different strength we gain when we truly rest in Him by faith. When our strength fails, His shows itself in us to be supernatural to meet whatever challenge we face. To yoke ourselves under the yoke of Christ means, we submit to Him. When our hearts are submitted to Him, His Spirit takes the steering wheel and we no longer strain like a little train that kept pep talking himself “I think I can, I think I can” but rather His power begins to steer us and enable us to carry life’s difficult loads. 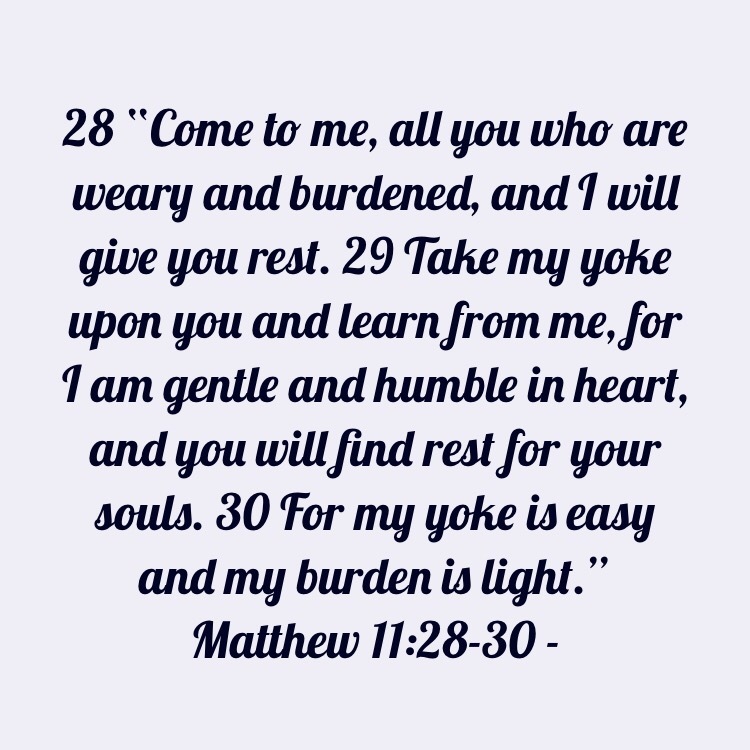 To carry heavy bundles, such as guilt, shame, fear, worry, – these are not bundles in Christ’s yoke He wants us to carry. He wants us to realize our sin, repent and then come under His Lordship by faith. Then when a man or woman turns to Christ in faith and seeks His forgiveness for sins, He comes to live inside our hearts, by the Spirit, and He begins to be the power we need! So Christian, if your yoke seems heavy right now and you are struggling and straining at the oars like the disciples in the storm, perhaps your not letting Jesus be in the boat. Perhaps somehow, you put Him out there, and now are trying to live for Christ in human effort without realizing it. Thirdly, “Am I carrying a load in my mind that Scripture teaches I should not assume responsibility for, such as worrying about the future and things beyond my control? The mind can also if directed negatively, multiply life’s heavy loads. A tired heart and mind is a tired life! God’s Great Love For His Strays. I once knew someone who had a dream of making a cat house, a sanctuary for stray cats. Well I it came to mind all of the sudden that in a way, this is what God has in mind for his strays. Yet the way some people are found pf stray cats, God to must have compassion on His creature, human beings. Though human beings are not to lovely, they claw, they hiss, they flee from their maker not understanding who he is. Like ferrel cats that claw and hiss as one may try to rescue it, so often the lost fearful soul that does not recognize God for His love and grace may too fight against efforts to capture them. Once when I was around 17 or so, my sister brought home a cat she found at a Walmart. We named him cinco. Well one night Cinco somehow got into the vent that has an opening on one end in my sisters room and another in my room. I woke up that night to frantic cat meows, and discovered Cinco had fallen down and was trapped in the vent. The vent cover to my sisters room had been taken off, so he had somehow managed to fall into it and get trapped. I had a set of tools, and unscrewed the cover of my side of the vent and set him free. Cinco took a fondness to me that day on and we were close as could be. Yet this is to what our Savior does for us, we do not know how desperately we need Him until we finally realize how trapped we are in our sins and foolish ways. Jesus came to set the captives free! We see Jesus on several occasions show compassion to people suffering. The religious leaders who showed little compassion for people, even they seemed to have compassion on their animals. We live in a time where animals are often more loved by people then people love each other. Yet Jesus has compassion on both, Jesus does not just discard His care for man and woman because we sin, but rather He comes to set us free and show this Love. What happens every time Jesus Christ adopts by His grace a new stray? Praise God for his richness and mercy! Praise God he has more concern for us then we have for ourselves even. He knows we are not truly fulfilled with the ticks of guilt and the fleas of our shame and ways that don’t work for us. So he comes to save us! Psalm 119 speaks so much on treasuring the Word and storing it up in our hearts and minds. Your statutes are my delight; they are my counselors. I am laid low in the dust; preserve my life according to your word. Jesus is not against us owning possessions or having things, yet things are temporal and nothing can compare to the Eternal treasure of knowing him. The Word– Heaven and earth will pass away, but my words will never pass away. For whoever wants to save their life will lose it, but whoever loses their life for me will find it. 26 What good will it be for someone to gain the whole world, yet forfeit their soul? Or what can anyone give in exchange for their soul? The Arrangement That Should Have Ben Hadn’t Been Made. Well fortunately everything was retrieved with assistance of the authorities but every time I read about Ben Hadad I chuckle because he says this to Ahab. God sends the prophet to tell Ahab that the Lord will deliver Ben Hadad’s army over the Israel. Thus it goes, and Hadad escapes. Then the prophet warns Ahab that Ben Hadad will rear his ugly head the followinf spring. Guess who’s back, Ben is back, guess who’s back, Ben Shaddy is back. Here is where Ahab sins and seriously blows it. God defeats the Aramean army but Ben Hadad grovels for mercy and Ahab makes a treaty with him, contrary to the prophets instructions. The next spring Ben-Hadad mustered the Arameans and went up to Aphek to fight against Israel. When the Israelites were also mustered and given provisions, they marched out to meet them. The Israelites camped opposite them like two small flocks of goats, while the Arameans covered the countryside. The man of God came up and told the king of Israel, “This is what the Lord says: ‘Because the Arameans think the Lord is a god of the hills and not a god of the valleys, I will deliver this vast army into your hands, and you will know that I am the Lord.’” For seven days they camped opposite each other, and on the seventh day the battle was joined. The Israelites inflicted a hundred thousand casualties on the Aramean foot soldiers in one day. The rest of them escaped to the city of Aphek, where the wall collapsed on twenty-seven thousand of them. And Ben-Hadad fled to the city and hid in an inner room. His officials said to him, “Look, we have heard that the kings of Israel are merciful. Let us go to the king of Israel with sackcloth around our waists and ropes around our heads. Perhaps he will spare your life.” Wearing sackcloth around their waists and ropes around their heads, they went to the king of Israel and said, “Your servant Ben-Hadad says: ‘Please let me live.’” The king answered, “Is he still alive? He is my brother.” The men took this as a good sign and were quick to pick up his word. “Yes, your brother Ben-Hadad!” they said. “Go and get him,” the king said. When Ben-Hadad came out, Ahab had him come up into his chariot. “I will return the cities my father took from your father,” Ben-Hadad offered. “You may set up your own market areas in Damascus, as my father did in Samaria.” Ahab said, “On the basis of a treaty I will set you free.” So he made a treaty with him, and let him go. As a result, the prophet rebukes Ahab. What can we learn here? First of all, some people have no business being in your life. As Christians, we are not called to literally cut people down out of our life with a literal sword, but too easily if we are not cautious we make treaties with people in friendship who will cause us problems or lead us away from God. Ben Hadad also is representative of some sinful habits we should show no mercy in severing out of our life. Temptation seems to spring up in the spring when we may be at ease and enjoying fair weather of life and comfort. David was tempted to “in the spring when kings go off to war” and as a result of such temptation he committed grievous adultery. Though we are called to be kind, merciful and share the good news with people who do not know Christ, we must be careful not to put ourselves in a situation that would lead to sin. That would both discredit the message and our profession of faith as well as damage our own souls in the process. Then we are neither good to be much light to those who need Christ and we are harming also ourselves. God is both a strong refuge of protection to those who seek Him as well as a source of light that guides us, illuminating our paths. Though life takes us down dark roads, through trials and troubles, we never need be without the light of His guiding presence as well as the hope that shines so bright in us!